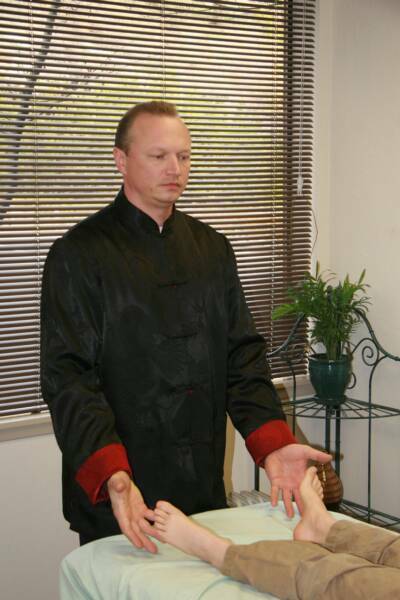 Medical Qi Gong is one of the main branches of Chinese Medicine and is energetic essence of it. It is working on a very subtle level and is a great way of helping with many health problems. It does work very often in cases where nothing else is working and can be a great complement treatment with other branches of Chinese Medicine or Western Medicine. In Chinese language Medical Qi Gong Therapy often called Wai Qi Liao Fa or "curing with external Qi". Practitioner remove blockages of Qi in the body, purge Qi where it is in excess or tonify where there is lack of it, restore smooth flow of Qi and bring it back to balance. It can be performed with touching body (combining it with different types of Chinese massage ) or without, -- even on a big distance. It also may include the use of shi zhen (contact needles) which are not inserted through the skin, creating similar to acupuncture effect without insertion needles through the skin. The history of using Qi Gong (the art of cultivating and managing Qi) for healing goes back more than 5,000 years. 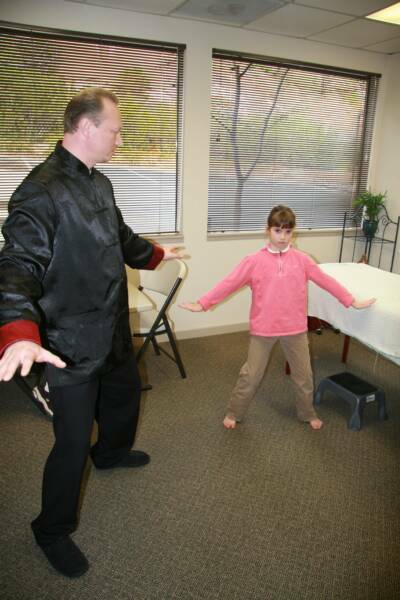 Qigong gave birth to various types of internal martial arts (Tai Ji Quan, Xing Yi Quan, etc.) and acupuncture. 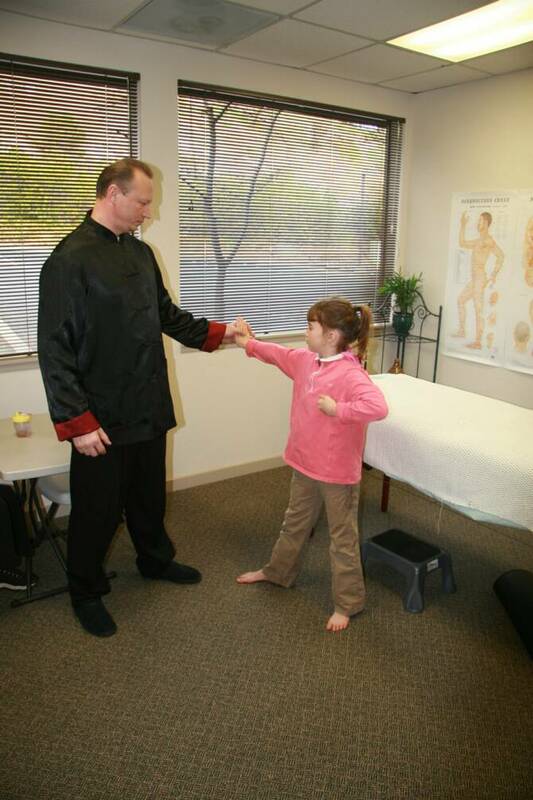 Usually simple Qigong selfhealing exercises that are selected by practitioner individually according to a patient's condition are prescribed to actively involve him/her in process of recovery and to improve the effectiveness of the treatments by activating patient's Qi. It was used for thousands of years by Daoists and Buddhists to strengthen their spirit, achieve extrasensory abilities, rejuvenate the body, and eventually achieve “immortality” or enlightenment. In fact, many Qigong and Tai Chi masters live over 100 years. So, practicing Qigong, people can actually increase their life spam. It is especially very effective for long-term health issues and emotional traumas. In fact it is very powerful in treating people with cancer (during conventional medical treatments, like chemo, radiotherapy, after them and as a prevention). More and more cancer centers all over the world practice holistic approach to treatment cancer patients, combining Western Medical treatments with Acupuncture, Herbal Medicine, Food Therapy and Medical Qi Gong. For people who would like to try Chinese Medicine but don't like idea of needles being inserted into their skin, or for some reasons do not like the idea of taking herbs, this is a great opportunity to experience Chinese Medicine without herbs or traditional acupuncture. Fighting Cancer and many more.